Process Instrumentation & Controls offers Premium quality ‘Hot Foil Printing Ribbon’ to print variable information for code-printing on various types of packing materials. We are manufacturing and supplying an extensive array of Coding Stamping Foil. 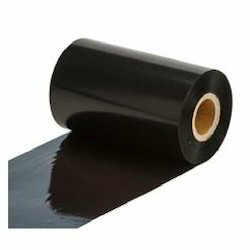 This Hot Foil is a general purpose coding foil which has a wide working band and is recommended for high speed applications and difficult substrates including carton board. It is suitable for large print areas, but can also produce fine detail at a lower temperature. If you have applications or substrates that are difficult to print on, please send us a sample and we will test it in our sample lab to find the correct solution. Manufactured using optimum quality raw material and sophisticated technology, this range has gained huge demand in both national and international market. Durable finish standards, high tensile strength, abrasion & scratch resistance and longevity are some quality attributes that make our offered range highly praised among clients. It provides exact logos or images on various surfaces like documents, cards, crafts, tax labels, letter heads, etc. Our special Coding and stamping foils are used to stamp various markings onto product packaging by means of a coding device. These markings provide the end-user with important information such as expiration date, production date, weight and price. 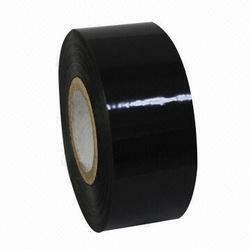 IT has various colors and give clear, sharp and dark ikmpressions on various surfaces.We are manufacturing and supplying an extensive array of Black Code Printing Foil Ribbon. 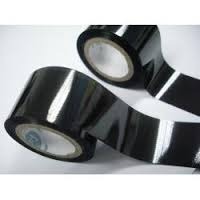 This Hot Foil is a general purpose coding foil which has a wide working band and is recommended for high speed applications and difficult substrates including carton board. It is suitable for large print areas, but can also produce fine detail at a lower temperature. If you have applications or substrates that are difficult to print on, please send us a sample and we will test it in our sample lab to find the correct solution.Manufactured using optimum quality raw material and sophisticated technology, this range has gained huge demand in both national and international market. Durable finish standards, high tensile strength, abrasion & scratch resistance and longevity are some quality attributes that make our offered range highly praised among clients. It provides exact logos or images on various surfaces like documents, cards, crafts, tax labels, letter heads, etc. Looking for Foil Ribbon Coding ?